The Adjustable Dish Caddy S-Series protects china from chipping. The heavy duty polyethylene construction won't chip, crack or rust. 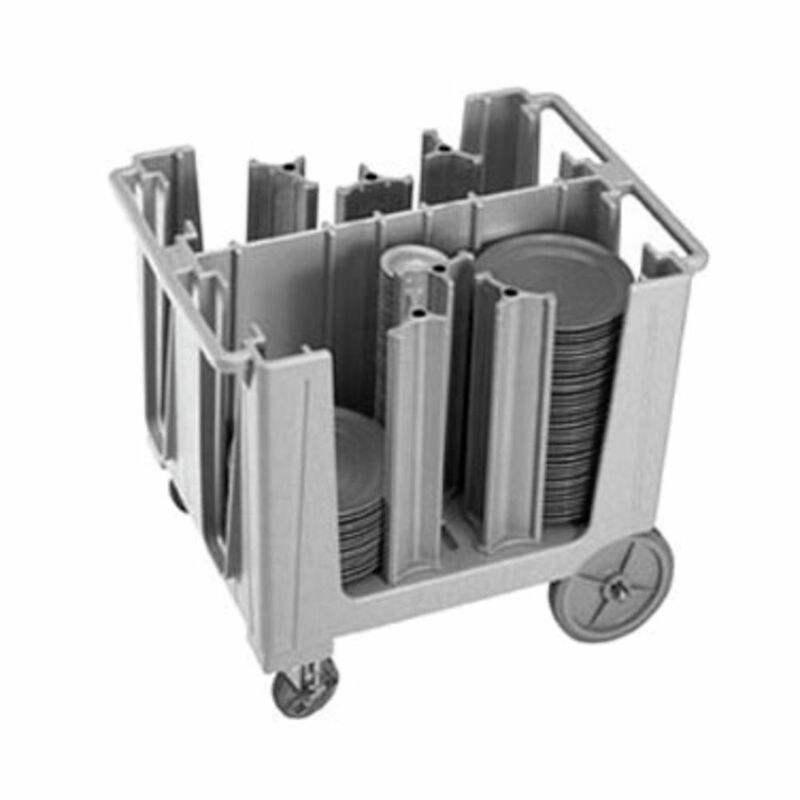 The Adjustable Dish Caddy S-Series features easy-to-adjust column towers. Each of these six columns can hold up to 60 plates. This dish caddy can hold plates from size 4 5/8" to 13". Its swivel wheels and plated steel axel allow it to hold up to 500 pounds while still being easily maneuverable. Store one size dish or a combination of different sizes in a single caddy. Features easy-to-adjust column towers.